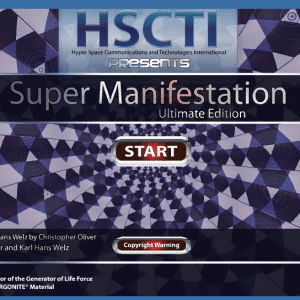 NOTE: If you purchase Manifestation Basic you will received FULL CREDIT should you decide to upgrade to Manifestation Pro or Super Manifestation Ultimate 2.1. So, there is no downside to getting started with the basic beginner version and moving up later. 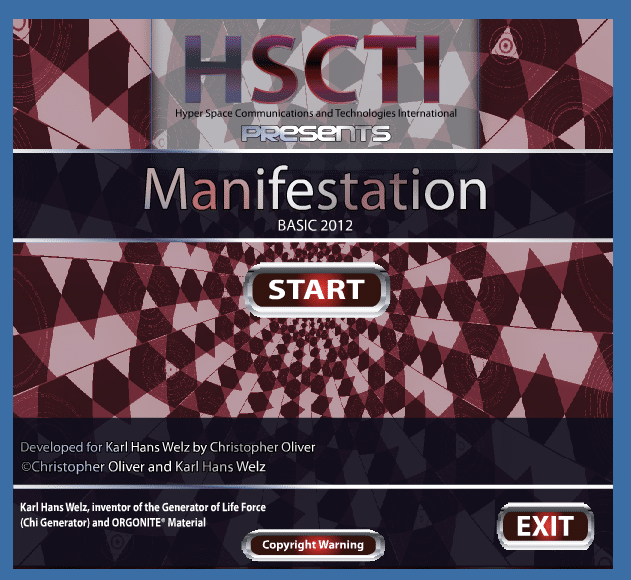 Manifestation Basic is the easy and affordable way to get started with RadionicsBox High Tech Manifestation technology. This is an instant download version. Shortly you will receive an email with a link to download the software. You can not use the software without your Chi Transfer Diagram. The Chi Transfer diagram is REQUIRED to run the program! Your Chi Transfer diagram will be personally emailed to you by us. We strive to send them out as soon as possible. It may only take minutes or a few hours. Depending on the time of day when you place the order it could take up to 14 hours. You will need to print a copy (ONE AND ONLY ONE) copy of the Chi Transfer diagram to place on your Welz Chi Generator. Do not print more than one or you will damage the structural link! This beginners radionics software program has 3 positions, TREND, TARGET and GROUNDING(fixed can not be changed). Select a filter image for the trend and describe the outcome in the text box. Select an image for the target and put the name of the target into the text box. You will also be dialing radionic rates for both. A COMPLETE VIDEO MANUAL IS AVAILABLE HERE. It covers installation and setup as well as operation building, importing files and how to run the program. Manifestation Basic is the radionics software program designed to get you started with beginner level radionics operations at a very minimal cost.